The Standing Stone: Srahanboy, Cillin and Ecclesiastical Remains, Co. Laois. Srahanboy, Cillin and Ecclesiastical Remains, Co. Laois. Location – Approximately 210m high on Arderin mountain in the Slieve Blooms. From the roadway to the N, head down the bank to the S until you reach the fence at the bottom and then follow this to the left. The site is located at the point where the fence meets another. Description and History – Srahanboy appears to have been a thriving community at one time with census results from the 17th century giving a population of about 100 people which, at the time, was larger than the nearby villages of Camross and Coolrain combined. The cillin is one of the more upsetting sites in county Laois and is near destruction because of cattle. No effort has been made by the state, council or owner to preserve this graveyard for un-baptised children. 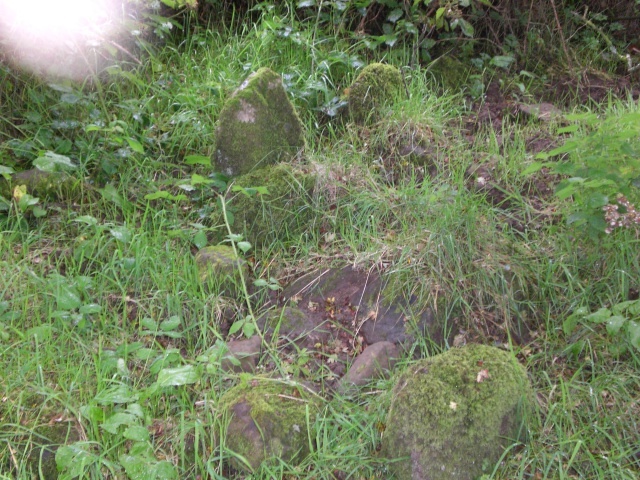 All that remains are upright and fallen stones that are un-inscribed under a clump of hawthorn threes. 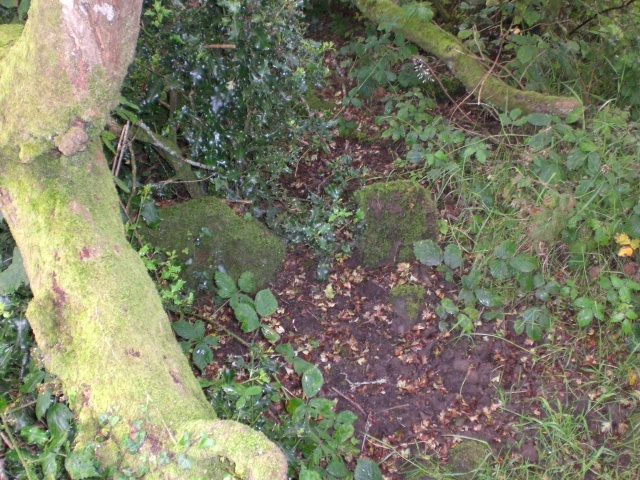 The area is used as pasture land and cattle have knocked over many of the stones...only the more sturdy stones and those in the trees remain upright. Around the site is a low ridge which is the remains of an ecclesiastical enclosure. Fenced off is a pile of rubble which may have been the church that was located at the site. This site appears to be destined to become part of vanishing Ireland and shows a clear lack of respect for the dead. Also located nearby are a lime-kiln, motte and bailey and the poorly preserved remains of a tower house. Difficulty – This site is one of the hardest to get to that I have listed so far. 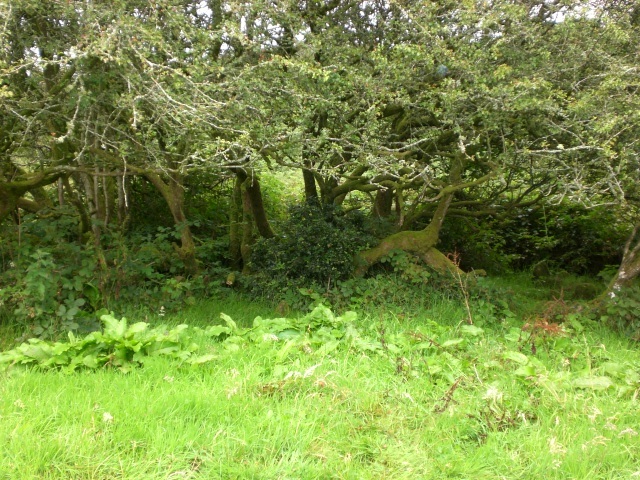 It is located in marshy pasture land that is hugely overgrown with brambles. Be prepared to get wet and muddy and dress appropriately. There is no signage to the site. Believe it or not this is a burial ground.